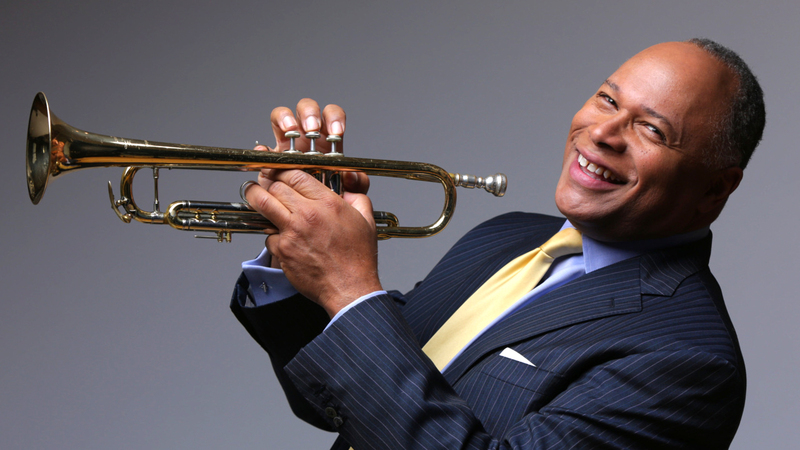 A powerhouse trumpeter, gifted with a soulful voice and a charismatic onstage swagger, BYRON STRIPLING has delighted audiences internationally. A powerhouse trumpeter, gifted with a soulful voice and a charismatic onstage swagger, BYRON STRIPLING has delighted audiences internationally. As soloist with the Boston Pops Orchestra, Stripling has performed frequently under the baton of Keith Lockhart. He was a featured soloist on the PBS television special, “Evening at Pops” with conductors John Williams and Mr. Lockhart. Currently, Stripling serves as artistic director and conductor of the highly acclaimed award winning Columbus Jazz Orchestra. Since his Carnegie Hall debut with the New York Pops, STRIPLING has emerged as one of America’s most popular symphony pops guest artists. He has performed with over 100 orchestras around the world including the Boston Pops, National Symphony, Pittsburgh Symphony, Detroit Symphony, Seattle Symphony, Baltimore Symphony, Dallas Symphony, Minnesota Orchestra, Detroit Symphony, Vancouver Symphony, Toronto Symphony, and Dallas Symphony to name a few. He has been a featured soloist at the Hollywood Bowl and performs at jazz festivals throughout the world. Television viewers have enjoyed his work as soloist on the worldwide telecast of the Grammy Awards. Millions have heard his trumpet and voice on television commercials, TV theme songs including 20/20, CNN and soundtracks of favorite movies. STRIPLING earned his stripes as lead trumpeter and soloist with the Count Basie Orchestra under the direction of Thad Jones and Frank Foster. He has also played and recorded extensively with the bands of Dizzy Gillespie, Woody Herman, Dave Brubeck, Lionel Hampton, Clark Terry, Louis Bellson, and Buck Clayton as well as The Lincoln Center Jazz Orchestra, The Carnegie Hall Jazz Band and The GRP All Star Big Band. STRIPLING enjoys conducting seminars and master classes at colleges, universities, conservatories, and high schools. His informative talks combined with his incomparable wit and charm make him a favorite guest speaker to groups of all ages. STRIPLING was educated at the Eastman School of Music in Rochester, New York and the Interlochen Arts Academy in Interlochen, Michigan. One of his greatest joys is to return to Eastman and Interlochen as a special guest lecturer. A resident of Ohio, STRIPLING lives in the country with his wife, former dancer, writer and poet, Alexis and their beautiful daughters.